The FedEx Cup playoffs move to the second round on friday at TPC Boston. The field is the top 100 players the second round and Michael will be trying to get into the top 70 in order to continue further into the playoffs. Michael will be teeing off at 1:22 on friday and will be playing with Chris Kirk and Roberto Castro. 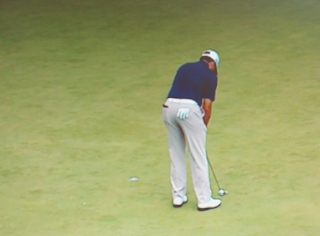 The greens at The Barclay's over the weekend hardened and sped up and scores, especially those later in the day, went up. Michael Thompson had a difficult time on the greens int he third and fourth round and eventually finished in a tie for 63rd. He dropped from 66th on the Fedexcup Points List to number 82 but, more importantly, being inside the top 100 gets him into next week's Deutschebank Championship. This will mark the first time Michael will play at the Deutschebank. PGATour.com has a nice playoff tracker page that shows the entire field eligible for next week's Deutschebank Championship and the movement within the Fedexcup Points List over each of the playoff events. You can find it here: Playoffs Tracker. Since each playoff event is worth 5 times a regular season event, there is quite a bit of volatility in the standings after each playoff event. After next week's second round, the third round will be limited to the top 70 players on the points list. In order to advance, Michael will need a top 50 finish (or thereabouts). Michael Thompson makes 40-foot birdie on 2. No fans around green. One marshal claps. Other 6 marshals busy taking pictures. For the third round, Michael will be paired with Ian Poulter. The duo tees off at 12:25pm ET. Saturday's third round coverage will be aired on the Golf Channel and CBS and the PGATour.com's Live@ stream will showing the 13th and 17th holes. 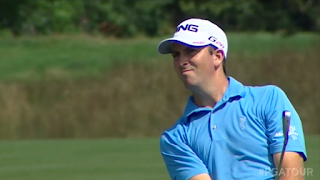 Michael Thompson fought Bethpage Black to a draw on Thursday during the first round of the Barclay's. His even par 71 included two birdies, two bogeys, and 14 pars. He is currently tied for 52nd. Michael's par 71 looks even more impressive when you consider that the afternoon conditions scored over one and a half shots higher than the morning rounds when the winds were down and the greens were more receptive. Michael will once again be paired with Charlie Hoffman and Geoff Ogilvy. The group tees off at 7:21am ET and hope that round one's early scoring conditions repeat themselves on Friday. Friday's second round coverage will be aired on the Golf Channel and streamed on PGATour.com. Are You Ready for Some Playoffs?! This time last year, Michael Thompson had just snuck into the top 125 PGA Tour golfers on the Fedexcup Points list which gained him entry into the first round of the Fedexcup Playoffs - The Barclay's. This year, after his second place finish at the US Open, his entry into the playoffs was assured early and he's now looking to make a deeper run into the four event playoff series. Each round of the playoffs will shrink the number of eligible players until the final round Tour Championship when the number 1 player will receive $10 million. This week marks the first round of the playoffs and is open to the top 125 players on the Fedexcup points list. 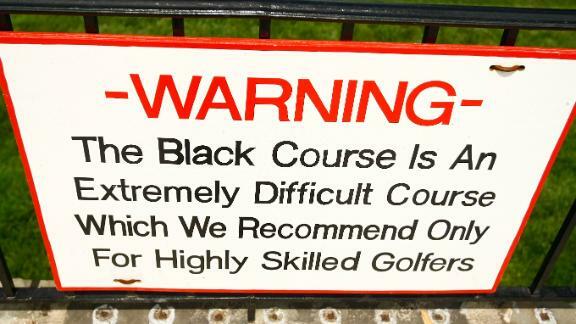 Next week's Deutschebank Championship is limited to the top 100 players. The field will shrink to 70 at the BMW Championship and the final round Tour Championship will be limited to the top 30 players. The points available at each of the playoff events are five times that of a normal event so performing well in the early rounds of the playoffs will allow players to move up the list and continue on. Michael currently sits at 66 on the points list. Michael will be playing the first two rounds of the Barclay's with Charlie Hoffman and Geoff Ogilvy. The group tees off at 12:11pm ET. 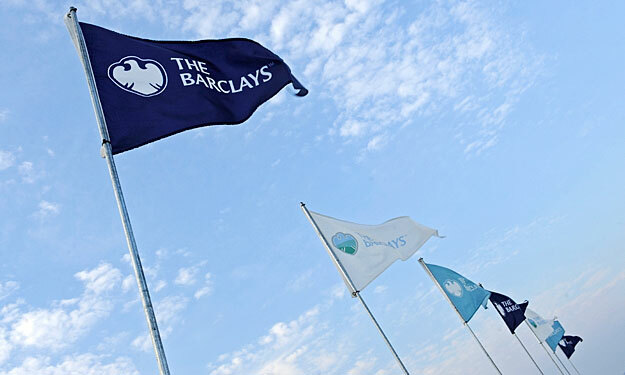 The the first two rounds of the Barclay's will be available on the Golf Channel and the weekend will be covered by both the Golf Channel and CBS. All four rounds will have live streaming provided by the PGATour.com's Live@ stream. Michael Thompson shot a nice round of 73 (+1) in the first round of the PGA Championship. He had two birdies, 3 bogeys and 13 pars for the day. He currently sits T-66th which is right above the current cut line. He tees off Friday at 12:50pm ET with Greg Chalmers and Spencer Levin. Scores were slightly higher in the afternoon today, and I would expect the same trend to continue tomorrow. Michael Thompson will make his debut in the PGA Championship Thursday on the Ocean Course at Kiawah Island, South Carolina. The last of the four majors for the year, he'll be playing against all of the best players in the world. 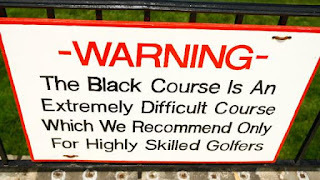 As if the tough course and competition were not enough, weather will also play a role as rain, wind, heat and humidity are in the forecast each day of the tournament. Michael will be grouped with Greg Chalmers and Spencer Levin and will be teeing off at 7:40 ET. Greg Hansen is a sports writer for the Arizona Daily Star and if you've followed the Thompson Tide you've probably seen links to pieces he's written over the years. Yesterday, following the inaugural Thompson Invitational junior tournament in Tucson, AZ, Greg wrote a great article on Michael. Here's the first part of the article to whet your appetite and you can follow the link at the bottom to read the whole thing. As he was standing in a buffet line Saturday, choosing between fettuccine and meatballs, Michael Thompson said the one thing all working men would like to be able to say on a hot August night. "I'm playing in the PGA championship next week and the FedEx Cup after that. "This is a man who has already banked $1,226,834 this year and could double it before Labor Day. This is a man whose summer schedule has included work in England, Canada, Washington, D.C., San Francisco, and, well, anywhere that Tiger and Phil go. Before Thompson left Oro Valley Country Club, one of the 60 junior golfers playing in the eponymous Thompson Invitational asked if he could see Thompson's PGA Tour card. It was as if he wanted proof. Is there really a PGA Tour card at the end of the golfing rainbow? Can life be that good? Thompson opened his wallet and passed his card to the junior golfers. "When I was your age," he said, "I told my friends at (Rincon/University) high school that I was going to be on the PGA Tour. They would just laugh. I never let anybody tell me it wasn't possible." Mike and Beth Thompson sat at a dinner table Saturday night as their son spoke about his life. I watched them as much as I watched Michael handle himself so ably. Their eyes glistened. Can you imagine the pride? This is no accident. You don't finish No. 2 at the U.S. Open, or runner-up at the U.S. Amateur, because you got hot. Thompson climbed to No. 57 on the FedEx Cup rankings for the same reason he earned 21 merit badges and became an Eagle scout. He put in the work. "Michael is so positive," said Susie Meyers, a former UA star and LPGA regular who became his golf mentor 13 years ago. "You knew he'd be successful at whatever he chose." The inaugural Thompson Invitational was completed today at the Oro Valley Country Club in Tucson, AZ. You can watch the video below for a short description and interview with Michael.